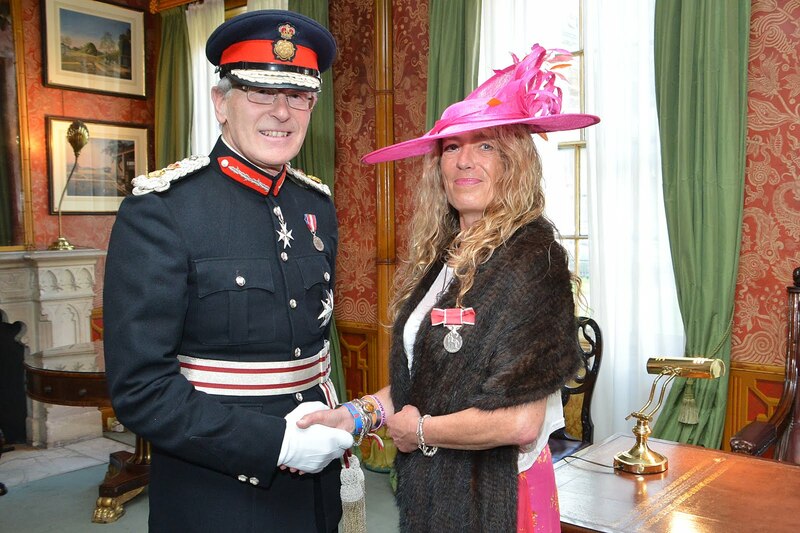 Today Virginia Barnacle attended an investiture ceremony at the Royal Pavilion where she received the British Empire Medal (BEM) for her services to the community from the Lord Lieutenant of East Sussex, Peter Field. She is the third member of her family to receive honours from the Queen; her father was awarded an MBE in 1983, and her grandfather received a BEM in 1964. Virginia is a founding member of the Brighton Surf Lifesaving Club which trains lifesavers. She helped set up a children’s section which has 90 members and organises charity events. She is also Director of Paddle Round the Pier which brings the surfing community together, runs the world’s largest free water sports festival, and raises money for charity. Virginia has also been involved with the Brighton Sailing Club for the past 20 twenty years and was its first female commodore. Virginia Goodwill by name and by nature. The positive impacts of her actions are quietly recognised – and equally deserving of awards – in areas beyond the few that are mentioned in this article. A true gentlewoman.